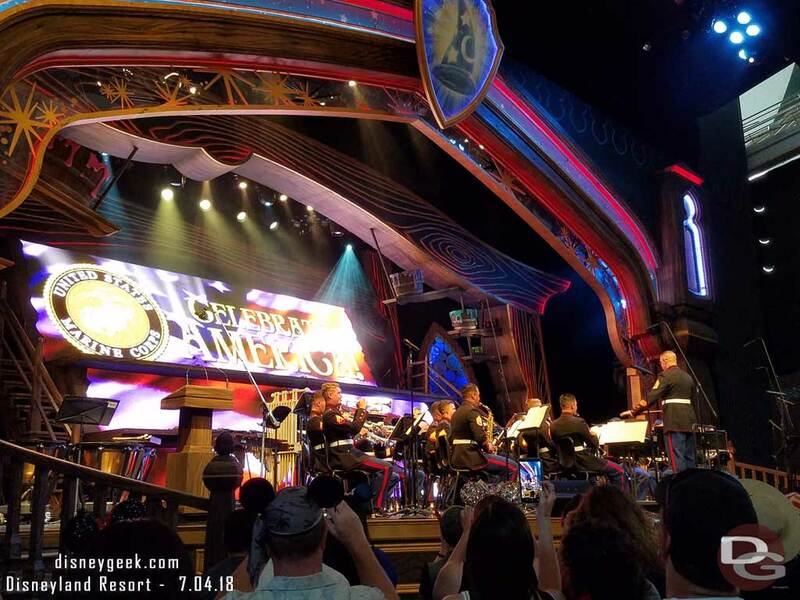 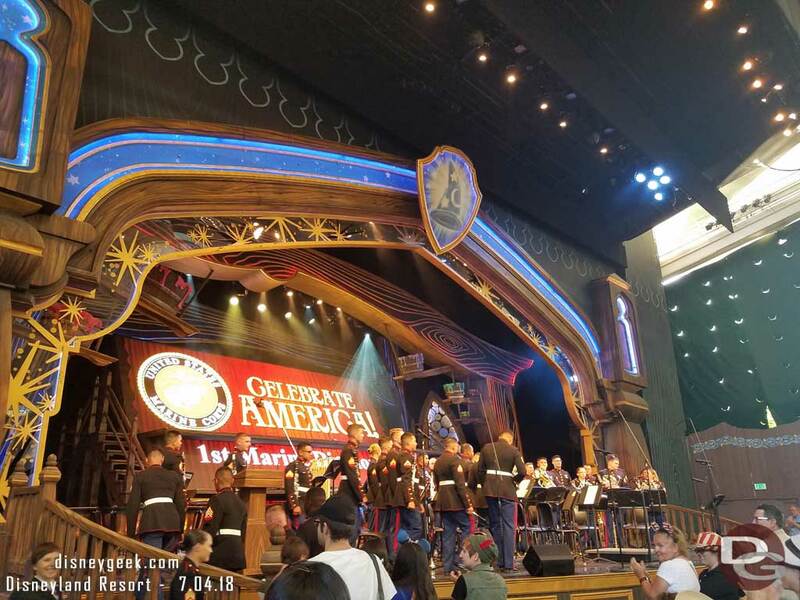 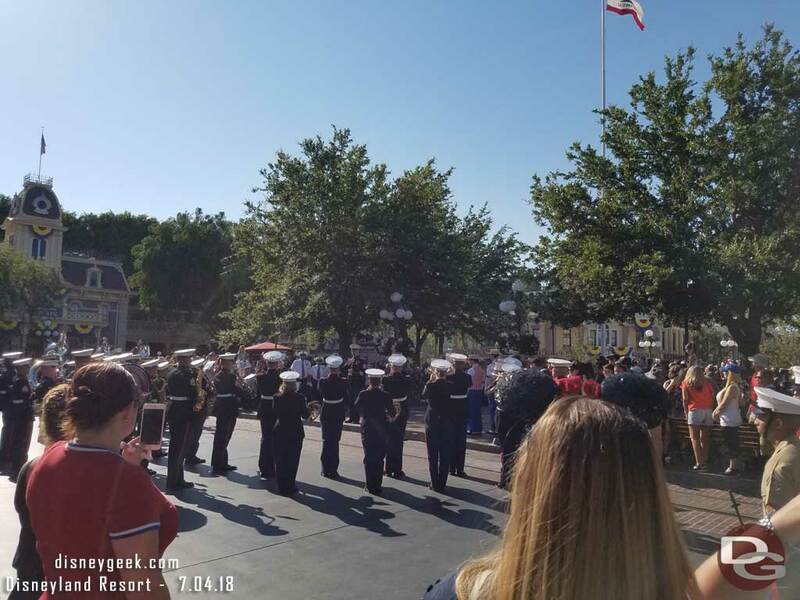 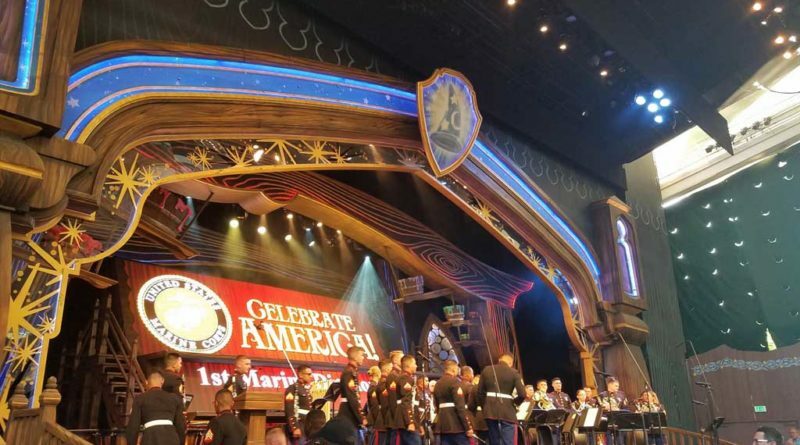 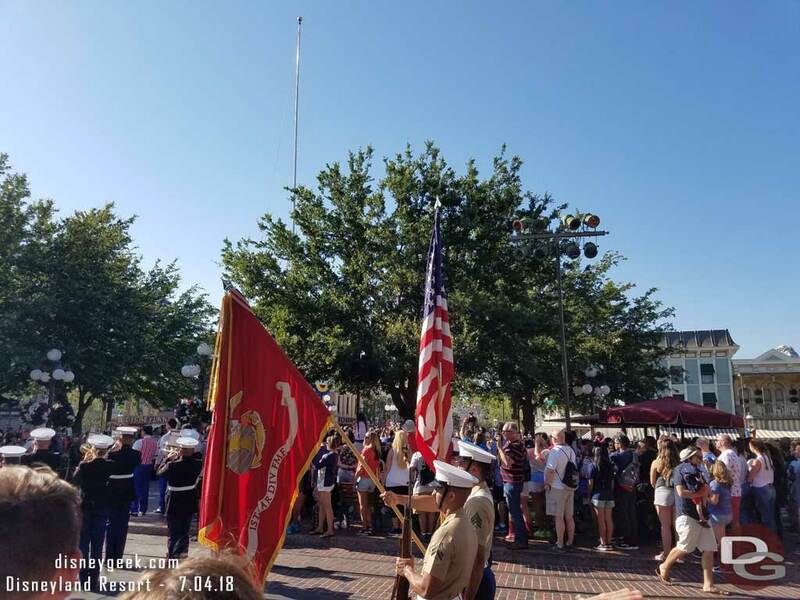 For the 4th of July celebration this year the Disneyland Resort hosted the 1st Marine Division Band based out of Camp Pendleton. 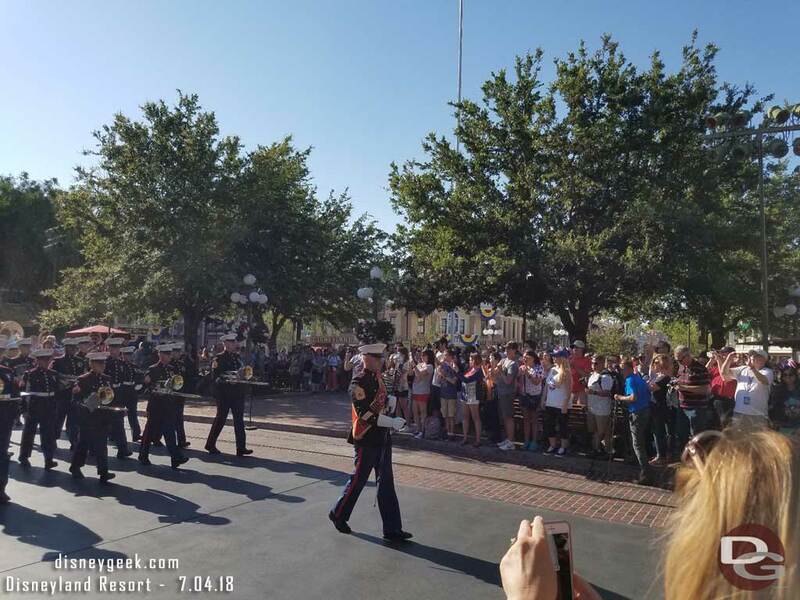 They performed as part of the nightly flag retreat in Town Square, marched before the parade and performed a concert at the Fantasyland Theatre to conclude their visit. 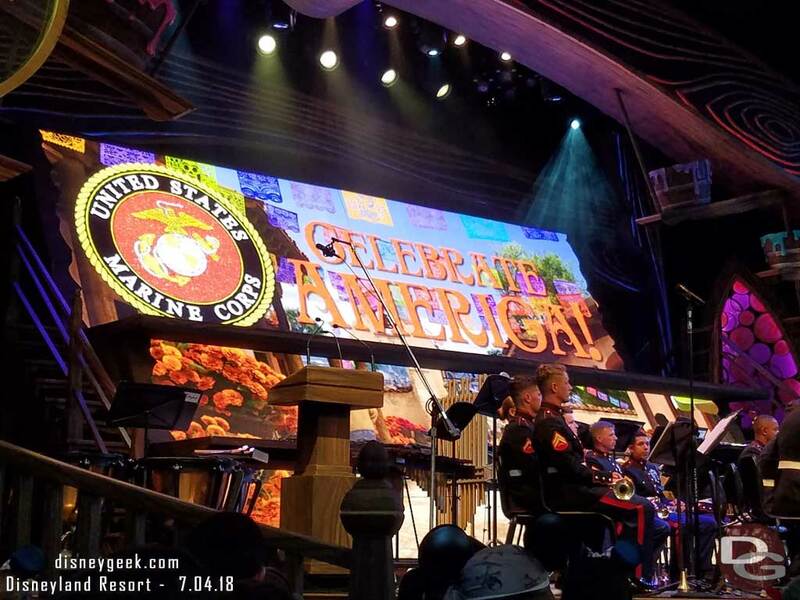 I want to thank a friend of the site for sharing these pictures and video from their trip. 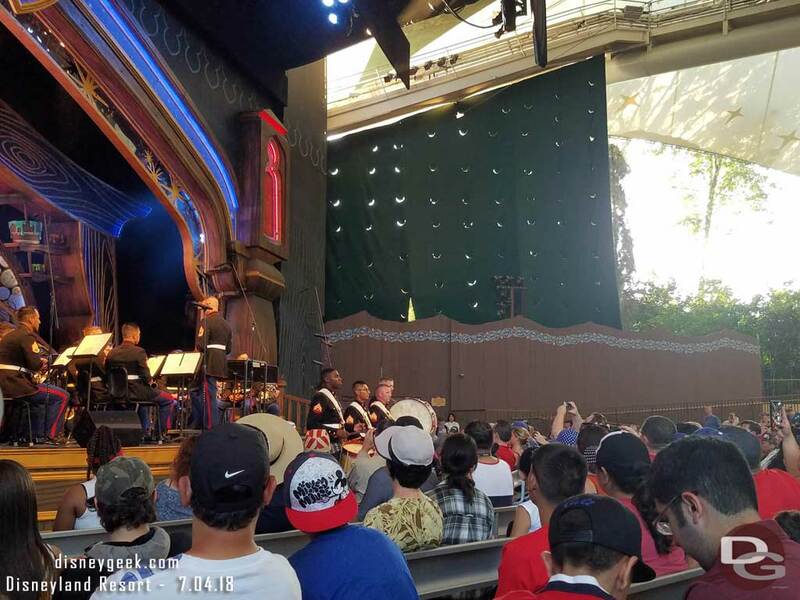 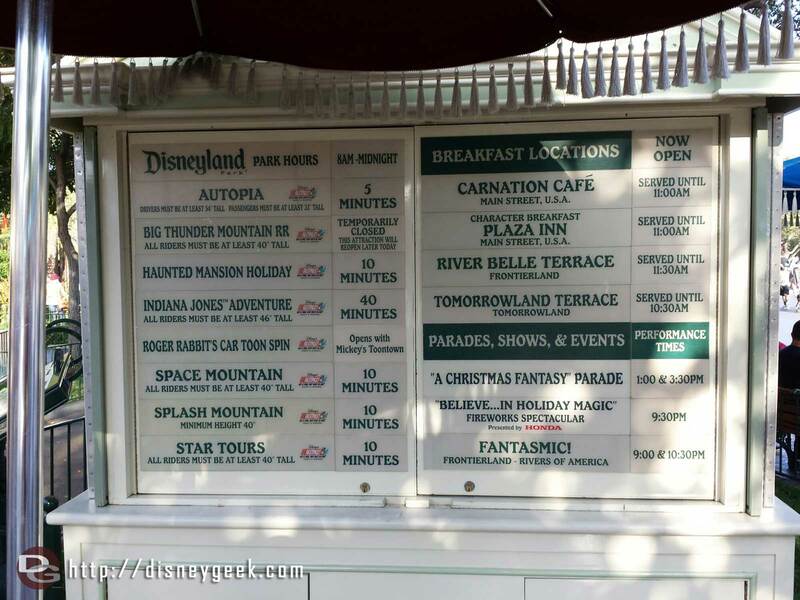 At 7:00pm a concert was held in the Fantasyland Theatre. 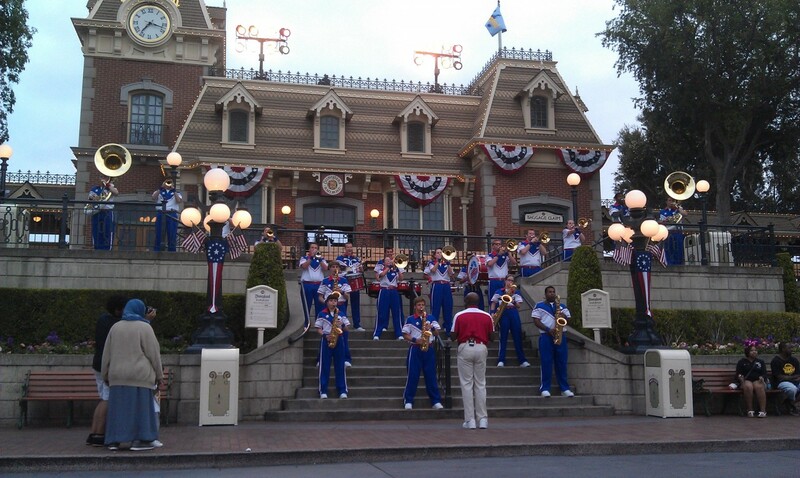 The last All American College Band set of the night on Main Street.